For many of us, passing our driving test is the passport to adulthood. Being in control of a vehicle brings freedom and independence – but it also comes with serious responsibilities. The UK has one of the best road safety records in the world, and despite an ever-growing number of vehicles on our roads, statistics show that the number of fatal accidents on our roads has more than halved in the last thirty years. However, no motorist can afford to be complacent: there are still many incidents of serious accidents each year, and it is important to be fully aware of the law. In 2011/2012, 199 people were convicted of causing death by dangerous driving, and a further 177 people were convicted of causing death by careless driving. In addition to preventing accidents, there are a number of other offences which can lead to penalties and even terms of imprisonment, such as failing to report an accident, or driving without insurance. What Will This ROAD TRAFFIC Offence LEGAL Guide Cover? What laws cover road traffic offences? What is the importance of the Highway Code? Under what circumstances can the police stop me while I am driving? What is the legal limit for ‘drink driving’? What happens if I am asked to take a breath test? What is the penalty points system? What happens if I am caught speeding? What should I do if I receive a speeding notice? Can I dispute a speeding notice? I have a received a court summons for speeding – what will happen next? What happens if someone causes death by dangerous driving? What is ‘death by careless driving’? What other road traffic offences should I be aware of? 1. What Laws Cover Road Traffic Offences? All offences with which a driver may be charged are covered by the Road Traffic Act 1998 (RTA). This legislation covers all offences, from comparatively trivial matters such as driving without insurance to the most serious charge of causing death by dangerous driving. Prosecuting offences under the RTA is the chief means of ensuring our roads are safe for both drivers and pedestrians, and offences are taken seriously. 2. What Is the Importance of the Highway Code? The Highway Code is the official guide for all road users, including both drivers and pedestrians. It provides a comprehensive guide to all 307 rules of the road, and is designed to help protect the public and ensure the transport infrastructure is a safe and pleasant environment. Although the Highway Code is not itself law, it does contain some important rules that refer to the RTA. These are rules 89–102, which provide advice on when it is unsafe or illegal to drive – including when under the influence of alcohol or drugs. These rules align very closely with the provisions of the RTA, and should be adhered to. 3. Under What Circumstances Can the Police Stop Me While I Am Driving? The police have powers to stop any vehicle for any reason. Failing to stop when asked is a criminal offence. You may be asked to show your insurance certificate and driving licence, although if you are not carrying these documents with you, you have seven days to take them to your local police station. The police can also issue on-the-spot fixed penalties for various minor offences. If you are suspected of driving without insurance or other more serious offences, your vehicle may be immediately seized. Depending on their reasons for stopping your vehicle, you may be asked to take a breath test. The police can decide to take a range of actions depending on the suspected offence. They may take no action; issue a warning; issue a fixed penalty notice; offer driver training; or charge you with a criminal offence. 4. What Is the Legal Limit for ‘Drink Driving’? Driving while under the influence of alcohol or drugs is very dangerous, and the law treats these offences seriously. There are strict guidelines for exactly how much alcohol can be present in the body before you are driving illegally. It is important to bear in mind that it is almost impossible to drink alcohol and be certain that you will be under the legal limit to drive. Whether or not you would show to be over the legal limit can depend on far more factors than the amount of alcohol you have drank, including your age and gender, your weight and metabolism, and whether you have recently eaten. 5. What Happens If I Am Asked to Take a Breath Test? If you are stopped by the police on suspicion of driving over the legal alcohol limit, you will be asked to provide a breath test. The ‘breathalyser’ is simple to use and provides an immediate result. If you refuse to comply without some reasonable excuse such as a medical condition preventing you from providing a breath sample, you can be arrested. If the results indicate that you are over the limit, you will then provide two further samples at a police station to ensure there has been no error in the reading. You will be allowed to go immediately if the results show that you are not over the alcohol limit, and the police officer has no other concerns. 6. What Are the Penalties for Drink Driving? Penalties for drink driving depend on many factors, and are naturally more severe the more serious the offence. If you are found to have driven or attempted to drive over the legal alcohol limit you will receive a mandatory ban for 12 months. You will also receive penalty points ranging from 3 to 11 points. If you fail to provide a sample when stopped for a breath test, you can be disqualified for a minimum of 18 months. For serious drink driving offences (normally if a reading is above 116 micrograms of alcohol in 100 millilitres of breath, which is nearly four times the legal limit) a prison sentence is likely – even for a first offence. For readings of 86 micrograms of alcohol per 100 millilitres of blood, there may be a community service sentence. When considering sentencing, the courts will take into account aggravating factors (such as the presence of children in the car) and mitigating factors (such as full co-operation with the police). A drink driving conviction will be on your licence for 10 years. 7. What Is the ‘Penalty Points’ System? The penalty points system is designed to incentivise drivers to drive safely and legally, without committing any offences under the RTA. Different offences attract different numbers of penalty points, increasing in severity according to the seriousness of the offence. Points accumulate on the driver’s licence and if 12 points or more accrue over a period of three years, a driver will be disqualified for a minimum of six months. For new drivers, the consequences of receiving penalty points can be serious. If six points accumulate in the first two years of driving, the driver’s license will be revoked, and he or she cannot drive again without taking another theory and practical test. 8. What Is a Fixed Penalty Notice? You may be issued with a ‘fixed penalty notice’ for a number of fairly minor traffic offences which nonetheless compromise your safety, and that of fellow drivers. These offences might include eating inappropriately or using a mobile phone while driving, driving carelessly or intimidatingly close to a vehicle in front, or failing to wear a seatbelt. Fixed penalty notices can be up to £100, and come with penalty points on your licence. 9. What Happens If I Am Caught Speeding? If you are caught driving above the speed limit by a road safety camera or by a police officer, there are a number of options for what happens next. You may receive only a verbal warning, and/or be offered the chance to attend a speed-awareness course at your own expense. You may be issued with a fixed penalty notice (‘speeding ticket’) which will mean a fine of £60 together with three points on your driving licence. For more serious speeding charges, you can be prosecuted. This would depend on a number of circumstances, most importantly by how much you were exceeding the speed limit. If you are prosecuted, you will have to attend court. Penalties can range from fines of up to £2,500 if you were speeding on a motorway, three to six points on your licence, or even a ban. 10. What Should I Do If I Receive a Speeding Notice? If you are caught speeding, the ‘registered keeper’ of the vehicle (who may or may not have been driving) will receive a Notice of Intended Prosecution (NIP) together with a Section 172 notice. You will have 28 days to respond to the notice, confirming who was driving at the time of the alleged incident – failure to do this is an offence. If it was a minor speeding offence, you are likely to be issued with a fixed penalty notice, which you can either pay or contest if you believe it to be mistaken. 11. Can I Dispute a Speeding Notice? If you are confident that you were not speeding, you can contest the speeding notice. However, to do so you must attend court to plead not guilty. To have the speeding charge dropped, you would need to prove that there has been an error in the way your vehicle was recorded to have exceeded the speed limit. It is possible to successfully dispute a speeding notice, for example by proving that there has been a failure to correctly calibrate road safety cameras. If you decide to take this route, you will need to secure a lawyer who specialises in road safety offences, as such a defence can be very complex and technical to prepare. 12. I Have Received a Court Summons for Speeding – What Will Happen Next? If you have broken the speed limit by a considerable margin you may well be summoned to a magistrates’ court. Magistrates have clear sentencing guidelines which help them establish the most appropriate penalty – the higher the speed, the greater the penalty. They will look at each case individually, and will consider all the circumstances which are relevant to you, and take into account matters such as whether you have previously been convicted of a speeding offence, and your ability to pay a fine. 13. What Happens If Someone Causes Death by Dangerous Driving? ‘Death by dangerous driving’ is one of the most serious of all road traffic offences. It is an ‘indictable only’ offence, which means that it will be tried in a criminal trial at a Crown Court. The police will carry out a full investigation, gathering evidence to establish whether a driver was at fault. Various contributing factors will be examined, such as any extreme weather conditions, problems with the road surface and the condition of the vehicles involved. Witnesses to the incident will also be interviewed. The Crown Prosecution Service would then consider all the evidence, and decide whether or not to bring the case to trial. If convicted of causing death by dangerous driving, a driver can receive a prison sentence of up to 14 years, and would almost certainly be disqualified from driving for a minimum of 2 years. 14. What Is ‘Death by Careless Driving’? The offence of causing death by careless driving was introduced relatively recently, in the Road Safety Act 2006. The Act states that it is an offence to cause death by driving without ‘due care and attention’, or without ‘reasonable consideration for other persons using the road’. The question of whether a driver was operating with due care and attention can depend on a number of factors. The main threshold is that they should be driving at a standard that should be expected of a competent and careful driver, bearing in mind a number of factors including the circumstances of the road and its environment at the time of the incident. This offence can be tried at either a Crown Court or a magistrates’ court. If convicted you will be disqualified from driving and receive either a fine or a prison sentence – or both. 15. What Other Road Traffic Offences Should I Be Aware Of? The Road Traffic Act encompasses a number of offences which, though less serious than drink driving or causing death by careless driving, still carry penalties, some of which can be severe. Driving without at least third party insurance is illegal. It is not sufficient for the vehicle itself to be insured: you must be insured to drive it. If caught, you could receive a fixed penalty of £300 and six penalty points. If you are caught driving during a period of disqualification, you can receive six points, or six months’ imprisonment, a £5,000 fine or a discretionary disqualification. You are legally obliged to stop after an accident, and report it to the relevant authorities. Failure to do so can result in between 5–10 points on your licence depending on the circumstances and the severity of the accident, or six months’ imprisonment, a £5,000 fine, or a discretionary disqualification. And note that you may be liable to pay compensation to any person injured through your fault or negligence if they may an accident claim. Use of a mobile phone while driving – unless with a hands-free device – is illegal. If caught, you could receive three points on your licence, and a £1,000 fine or discretionary disqualification. Failure to obey the law regarding traffic lights – such as ‘running a red light’ – can result in three points on your licence, and a £1,000 fine or discretionary disqualification. If you do not ensure your car has an MOT certificate, you can be fined £1,000. If your seat is fitted with a seat belt – including all passenger seats – you must wear it. Children must use a car seat appropriate to their age/weight until they are either 12 years old or at least 135cm tall. Failure to ensure all within the vehicle comply with the law on seat belts can result in a £500 fine. The Road Traffic Act and the Highway Code work together to provide a safe, secure and pleasant environment for all road users, including both drivers and pedestrians. The penalties for road traffic offences can be severe ranging from small fines to custodial sentences of up to 14 years for the most serious offences. The threshold for drink driving is low, and it is impossible to be certain you are under the legal limit unless you refrain from drinking completely. The penalty points system is designed to incentivise safe, legal and competent driving. If you receive a court summons for speeding, the courts will take into account numerous factors when examining your case. 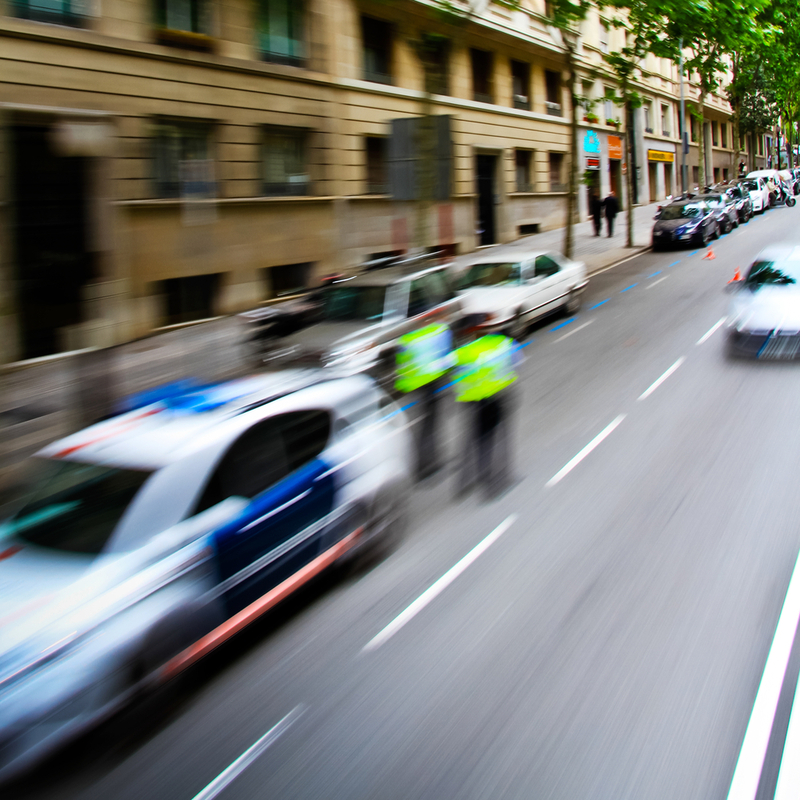 It is possible to dispute a speeding ticket – but you will need to attend court. ‘Death by careless driving’ is a relatively new and very serious offence. It is important to be fully aware of your legal duties as a driver, including avoiding comparatively minor offences such as using a mobile phone while driving, or failing to ensure all within the vehicle wear seat belts.